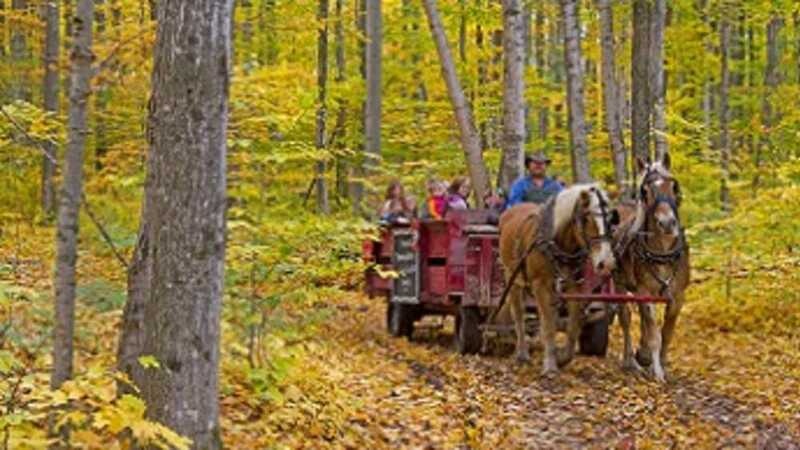 This bustling apple farm and cider mill is nestled in the hills just west of Rogers City, in beautiful Northeastern Michigan. We have 13 acres and over 50 varieties of dwarf & semi-dwarf apple trees. Our hand-picked apples are available in big, beautiful crates ready for you to bag on your own. We are excited to offer u-pick apples and pumpkins for the 2019 fall season! Please contact us directly for more information. In addition to delicious apples, fresh-pressed unpasteurized cider and the best bakery goodies, we have lots of fun items to purchase from tasty jams and pickles to hilarious signs and socks! Twisted Roots is the hard cider and wood fired pizza operation at Knaebe's, and it's definitely a "must try" aspect of our apple orchard. ~ The farm animals, playground with beautifully handcrafted equipment, and corn maze are all free of charge! Follow us on Facebook for updates throughout the season!